The body of an American national, Robert Thomas, was found today in his room at a guest house in Belize City. Just after ten this morning, a taxi-man who would shuttled forty-seven year old Robert Thomas around the city, reportedly found him dead. Police was soon be called and visited a room at the Three-Star Guest House on Meighan Avenue where they saw the lifeless body of Thomas with multiple cut wounds to the inner arm and abrasions to the left wrist. He was transported to the K.H.M.H where he was pronounced dead. Thomas, a software technician from Florida, arrived in Belize last Friday on an American Airlines flight. He left the city on Tuesday to celebrate his birthday in Caye Caulker. He returned to the city and was last seen alive on Wednesday night by the owner of the guest house. 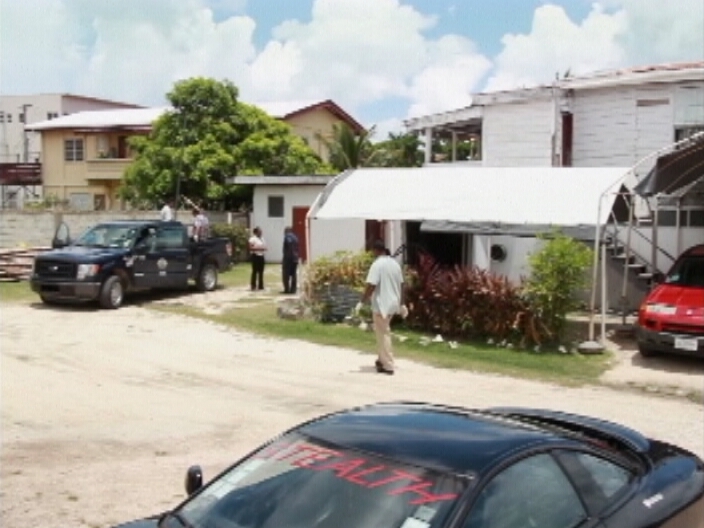 Police investigations continue to determine what led to Thomas’ death. The last time he visited Belize was back in 2012. I’ve been warning all you tourist for years now don’t come to Belize or you will be murdered but unu hard head so keep on coming and keep on getting murdered this pm and gov. Doesn’t even care about its own people getting killed much less unu tourist stay away from Belize tourist or you will be murdered like this man. Rod, Multiple cuts to the INNER arm. sounds like a suicide . Don’t be so quick to jump to conclusions. You assumed the guy who died at Barrier Reef resort in San Pedro last month was a murder, but the autopsy showed he died of natural causes. Not every tourist who dies in Belize is murdered. I’m most confident the booze in the bottle is what killed this man.I knew him very well and my heart is filled with grief. He was a fine chap when he was sober. I will always love my Natal country. But I advised friends and co-workers here in the US not to travel to Belize because of the violence and blatant disregard for human life.